Trouble sleeping? Device screen too bright even on the lowest brightness setting? Want to give your phone a warm look instead of that eye straining blue gaze you see at night? EasyEyes is the solution. Inspired by Flux for the PC, EasyEyes changes your device’s color temperature and creates a screen filter to reduce eye strain when looking at your device at night. Looking at a lower and natural light source gives your body a chance to produce more melatonin, helping to provide you with better sleep. With EasyEyes, you can now look at your phone at any point during the night while keeping your eyes in an easy, restful state. * Complete Filter Level Control – Seekbars to set the warmness and brightness settings. * Timeout Length – Set the length of time to re-enable EasyEyes. 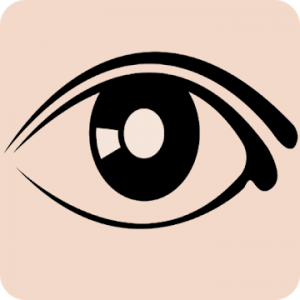 * EasyEyes Widget – Quickly and easily turn on and off EasyEyes. What makes EasyEyes different? EasyEyes works on all Android devices and does not require root access to function. It also does not interfere with Android’s system brightness giving you more control of your device’s brightness. With the full version, you will have complete control over the warmness and brightness filters instead of just the default values. Using the automatic scheduler, all you have to do is set the time once and let EasyEyes do the work night after night. It will even set the times based on the sunrise and sunset wherever you are in the world. With the timeout feature of the scheduler, EasyEyes will know when to turn itself back on even when you have disabled it. You also have the ability to enable and disable EasyEyes in one click using the EasyEyes widget. Still see a slight glow with EasyEyes on? You have the ability to set the system brightness to the lowest setting and when turning off EasyEyes, it will even default back to the system’s automatic brightness setting. All of these features, ad-free, plus more on the way. “The onscreen navigation keys are bright on Nexus devices” – In the full version, there is a “lowest system brightness” setting that will also dim the navigation keys. If you would like to help with the translations in EasyEyes? Send the developer an email or contact the developer here: http://stephenpalmerin.com/#contact .